Gertrude Jekyll (1843-1932) lived most of her life in Surrey. 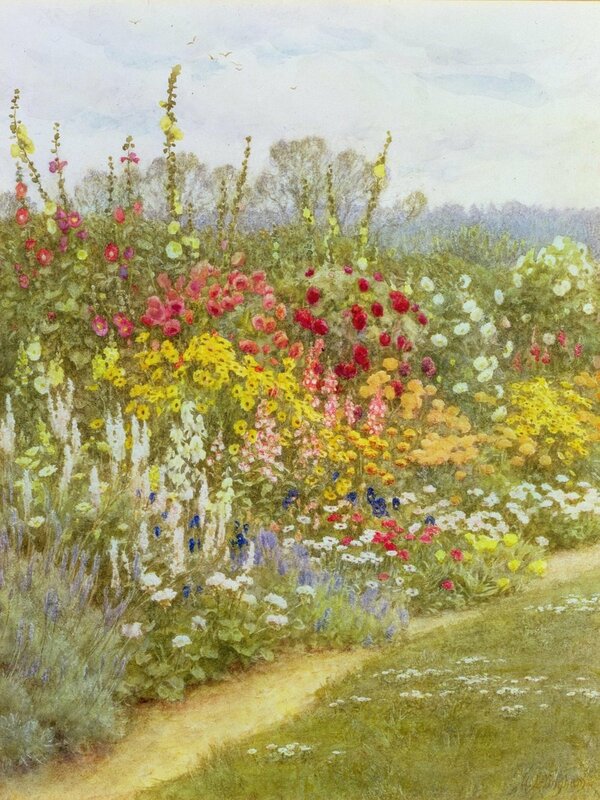 Although best known today as a garden designer, she was a woman of extraordinary talents and interests and you can read about some of these in Beyond the Boots, based on the biography written by her nephew, Francis Jekyll, soon after her death. Miss Jekyll was consulted on some 400 garden projects, mostly in the UK, of which approximately 140 related to gardens in Surrey, but including a number in Europe and the USA. 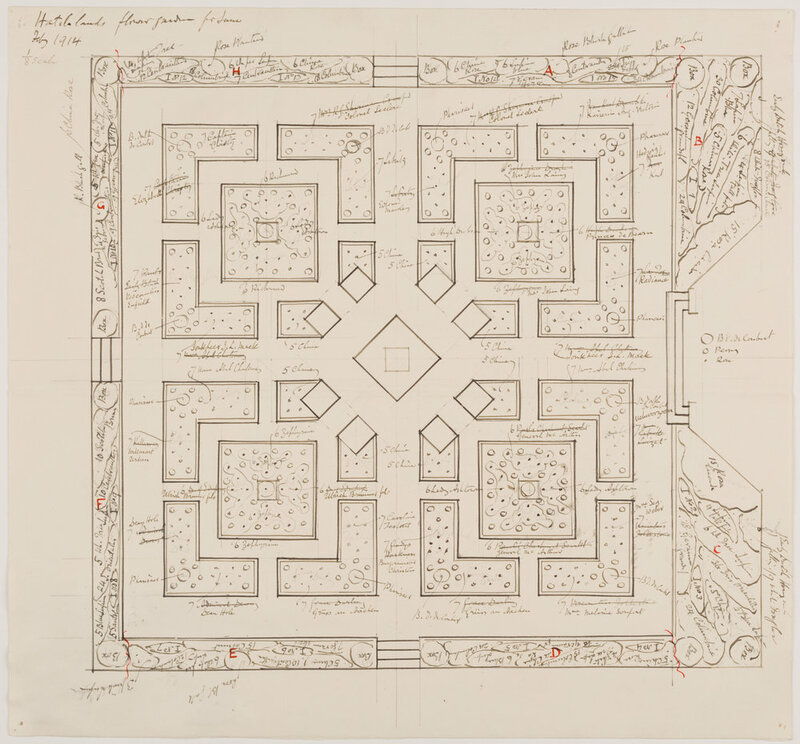 The major part of her archive is at The Environmental Design Archives, University of California, Berkeley (the EDA), having been donated from the Reef Point Gardens Library by American garden designer Beatrix Farrand. The archive consists of several thousand items of correspondence, photographs and drawings relating to 236 properties, plus a collection of six photograph albums. Following a fundraising appeal and project led by Michael Edwards, architect, and Surrey Gardens Trust, the documents relating to the eighty eight gardens in Surrey have been digitised in colour at high resolution and can be viewed by following the link below. A set of forty one notebooks relating to commissions undertaken by Gertrude Jekyll which include details of plants supplied to clients is held at Godalming Museum. These have been copied digitally and Surrey Gardens Trust and Godalming Museum are working together to make these available on line through both the Godalming Museum website and through a link on this page. In the Interim, the Catalogue Entry 2202:41 Notebooks which belonged to Gertrude Jekyll, is attached for your ease of reference. The documents can be viewed at Godalming Museum. Further plans and correspondence relating to other gardens designed in Surrey and beyond are held at the Surrey History Centre. These documents were discovered in the attic of a house in Sussex and were purchased by Surrey Record Office in 1997. Curatorial details of these documents can be found on the Exploring Surrey’s Past website. Nine Surrey gardens are included in this collection and digital copies of this material will be available to view on line through a link on this page.